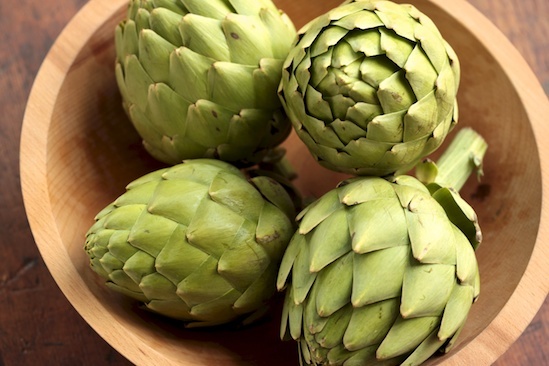 Saveur gives us many ways to prepare artichokes. That Carciofi alla Giudia recipe looks good -- I've made Marcella's version. Sublime. The devil with artichokes. They can't decide whether to be cabbage or pine cones, neither of which I would eat, but I would certainly throw at the back of my roommate's head. Phooey.